Clarinet Wirecraft Figurine – Need music gifts your clarinet player? This wonderful clarinet wirecraft figurine is a great addition to any clarinet player’s collection! 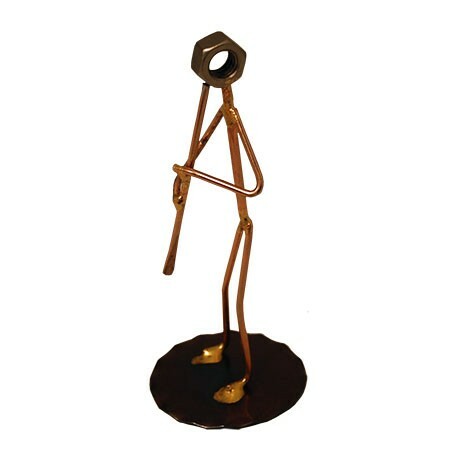 Made entirely from copper and metal, this figurine will be the conversation piece and others will be asking you, “Where’d you get that?”. Standing / Quality construction. Made in the USA. Approx. 5″ H x 2″ W.